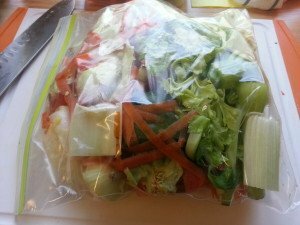 Spend one hour, one day per week prepping all the veggies you need. 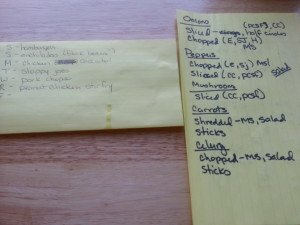 That’s one dirty cutting board, one dirty knife and a few plastic bags or containers. The first step is to figure out what you need for the week. 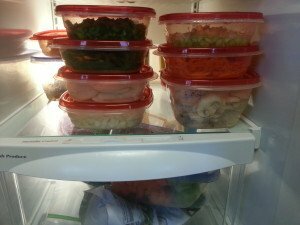 Here is my meal plan and my veggie plan. 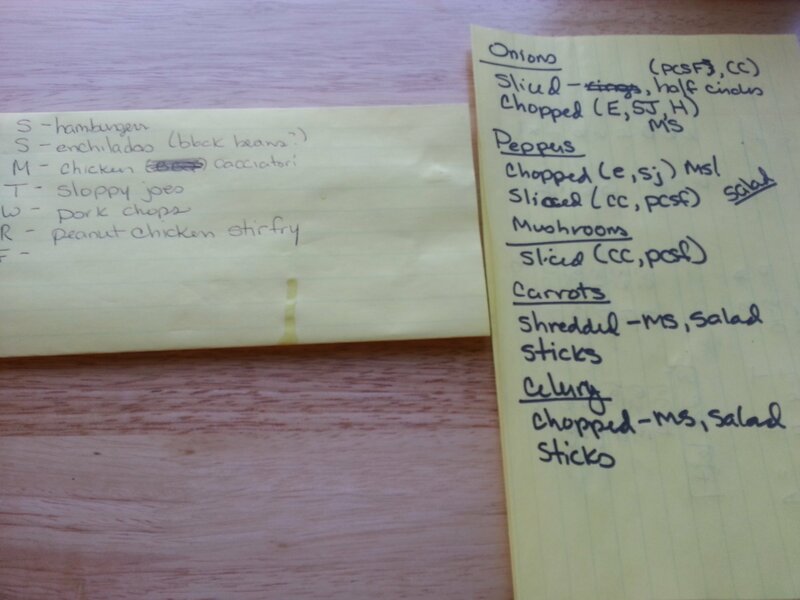 Based on what I’m making, I have a lot of prep to do. 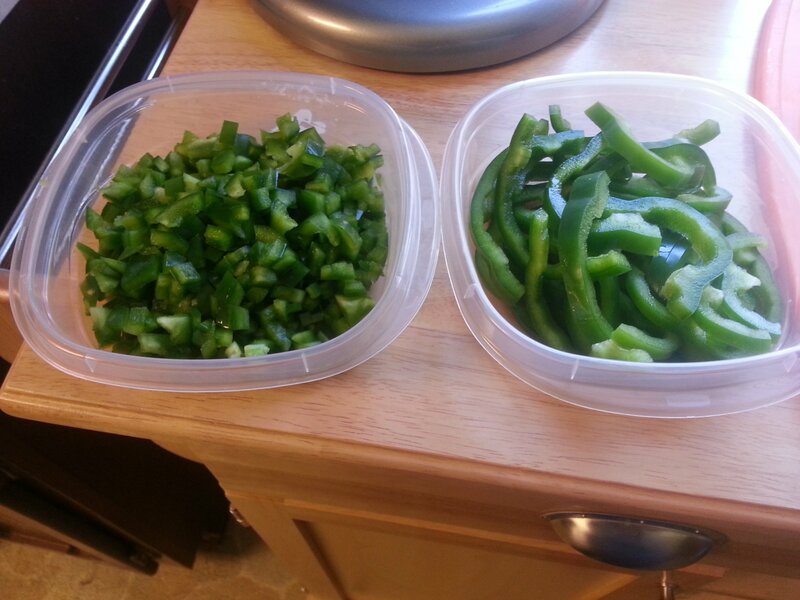 It looks like a lot but I got it all done in less than an hour, including clean up. This will save me at least two hours during the week, when I don’t have those extra two hours. First, get out your cutting board, a good knife, a few containers and a large bowl you can use as a garbage bowl. You might also need a peeler depending on what you have to prep. 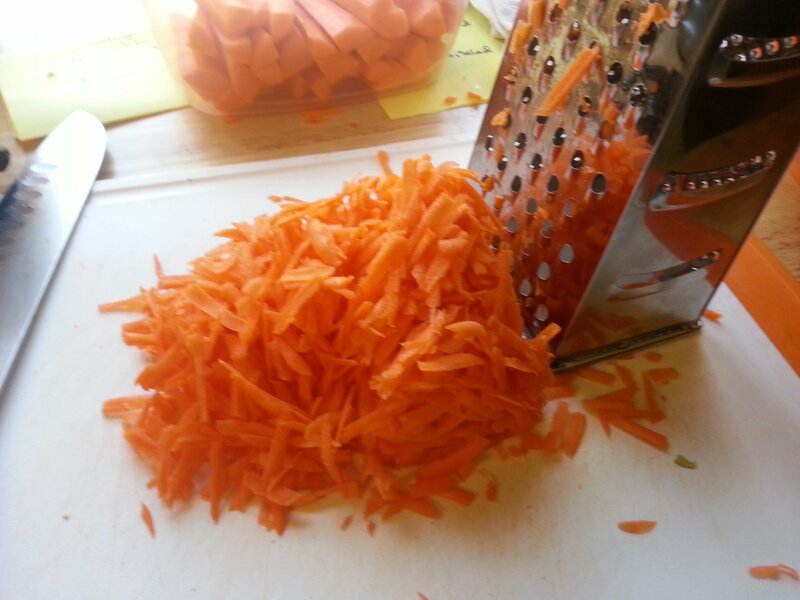 Then start chopping. 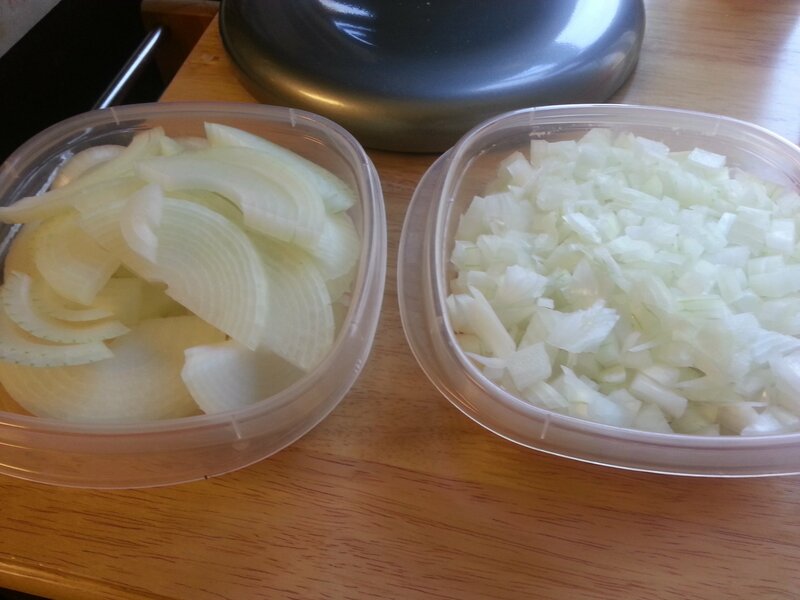 First my onions; sliced for two recipes and chopped for a few more. 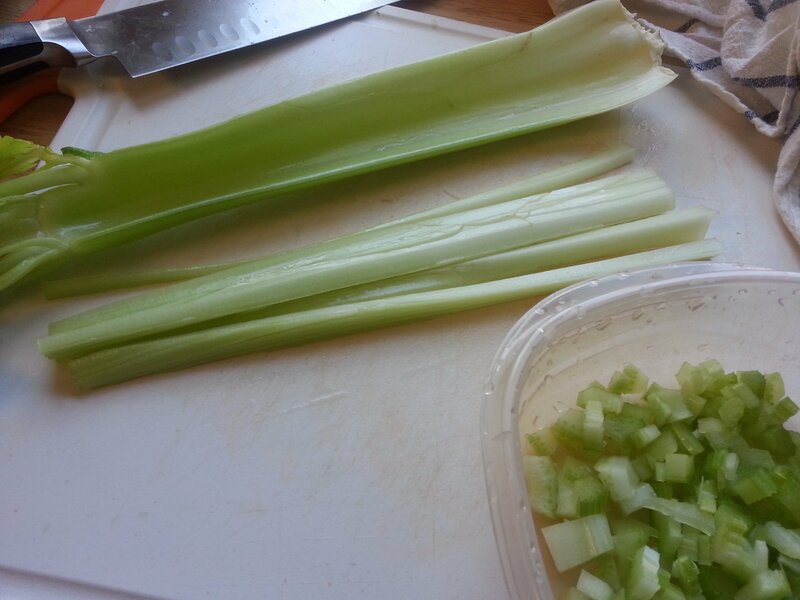 Celery, chopped and cut into sticks for snacks. 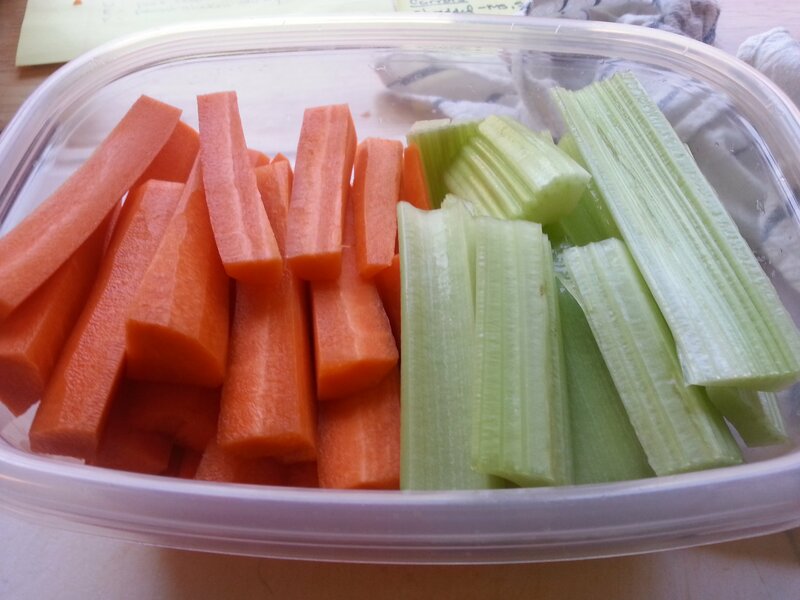 A large container of carrot and celery sticks makes it easier to make good decisions. If I had to make carrot sticks every time I wanted some, I wouldn’t eat them nearly as much. 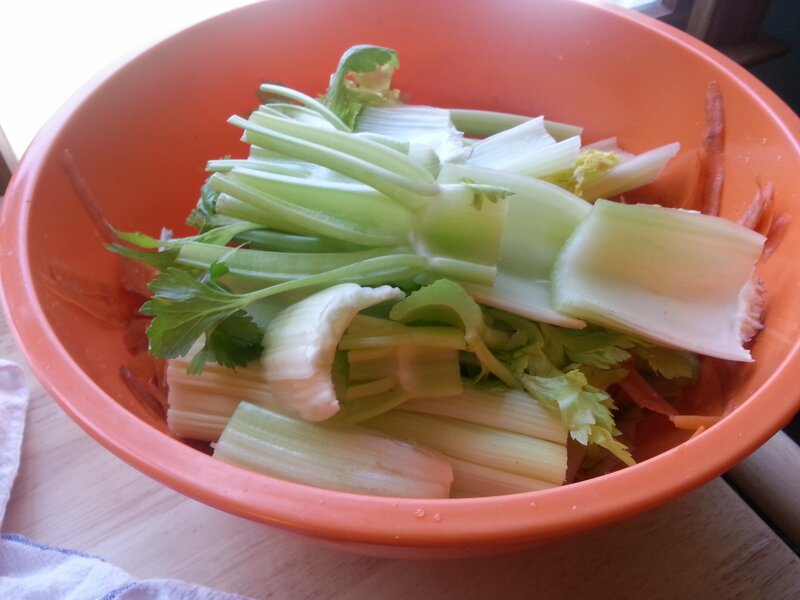 Now I’ve got this huge bowl of scraps left. Don’t waste it. I put it all into a plastic bag to save for stock veggies next time I have chicken bones. Just add the bones into some water and dump in all the scraps. Nothing wasted!